To create value for our Shareholders and Stakeholders by enhancing Subscriber and user loyalty, maintaining a strong global Network and lowering the total cost associated with the acceptance of travel payments. UATP continues its strategic goals of increasing its core businesses, the corporate charge card, and expanding the product base with new Merchants and new Partners. UATP’s international presence continues with the addition of new Issuers and Merchants worldwide each year. UATP is the low cost payment network privately owned by the world’s airlines. UATP streamlines billing and provides travel managers with detailed activity reports that track a traveler’s carrier, destination, travel itinerary and more. UATP’s robust data is the industry leader. With UATP, airlines can completely avoid credit card fees if their corporate clients purchase tickets on the airline that issued their UATP card. Additionally, airlines that issue UATP accounts earn revenue when their card is used to purchase travel on another carrier. No other card program offers this benefit. No other card brand can offer Level III data for every ticket regardless of which airline the ticket is purchased and what method of purchase (e.g., via a travel agency, online booking site or direct purchase at the airline). Airlines, travel agencies and rail networks accept UATP as a low-cost form of payment for air and rail travel, service fees, management fees and net fares. Not only does this make UATP an impressive network for corporate clients who use UATP as their preferred form of payment, but those entities that accept UATP save money because of UATP’s low merchant service charges. 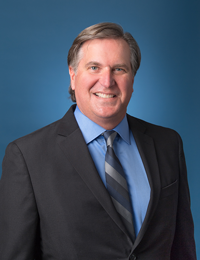 Ralph Kaiser is President, CEO & Chairman of UATP. Appointed in 2003, he has launched and led several important growth initiatives resulting in a doubling of network charge volume to US$ 14 billion. Among these achievements is UATP’s new DataStream suite of products which has lowered the barrier to entry for UATP’s Issuers and provided state-of-the-art data management tools to UATP corporate customers. UATP also launched an innovative Alternative Forms of Payment gateway for global airlines under Kaiser’s leadership. Previous to his appointment as CEO, Kaiser was UATP General Counsel. Before joining UATP, Kaiser worked at the Overseas Private Investment Corporation (OPIC) and the Export-Import Bank of the U.S. (Ex-Im Bank) as an advisor to the senior management and the Board of Directors for both organizations. He holds an MBA from the Carey School of Business at Johns Hopkins University and a law degree (JD) from the Emory University School of Law. 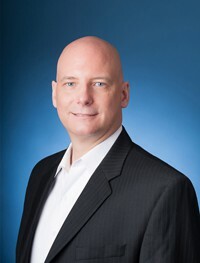 Philip Ziegler joined UATP in July 2006 and currently serves as Chief Technology Officer where he is responsible for all aspects of UATP’s technology platform and the development of software products. Ziegler oversees software development of core applications such as DataStream®, DataMine® and CeptorSM, as well as UATP’s transaction processing network, ATCAN. As CTO, Ziegler works to ensure outstanding global operational support of Issuers, Merchants, and other partners and administers UATP’s Data Security Policy. Ziegler holds a B.A. degree in Interdisciplinary Studies from the University of Maryland Baltimore County. As Vice President of Marketing & Communications at UATP, Wendy L. Ward is responsible for developing and implementing all marketing, communications, brand and promotional activities. The marketing department supports efforts by UATP to increase product awareness, grow membership, develop strategic business operations and position the UATP brand as the unifying ingredient for its Issuers and airline, travel agency and rail Merchants worldwide. Ward also heads the insurance division charged with growing membership base and product development. Ward brings more than 15 years of global experience in marketing and communications experience to UATP. She holds an MBA in International Business & Finance & Accounting, and a BA in International Affairs. 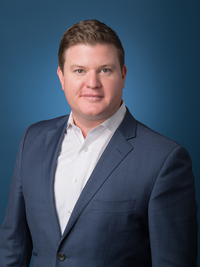 Zach Ornelas joined UATP in January of 2019 and currently serves as Vice President of Global Network Sales. Zach leads the global UATP Network Sales team in the promotion and expansion of its charge card network. He and his team are responsible for all existing and new Shareholder and Merchant relationships. Prior to this position, Zach was Director of Global Sales at MSTS, a third-party partner to UATP. Zach and his team at MSTS developed and sold closed-loop payment networks across industries and the globe. Recently, he led the MSTS team to acquire the IATA EasyPay agreement supporting pre-paid payments in over 27 countries. Before joining MSTS, Zach spent the previous decade working at American Express, supporting their Global Corporate Payments division in technology consulting and sales roles across the United States. Zach holds a Bachelor of Arts in Business Communication from Rockhurst University. He, his wife Teresa and their four children reside in the Kansas City metro and all support the Chiefs… even when times are bad. As Vice President of Alternative Forms of Payment (AFP), Rachel Morowitz is responsible for executing UATP’s global AFP sales strategy. Ms. Morowitz leads a global team of sales professionals to assist UATP merchants with their payments needs in the markets they serve. 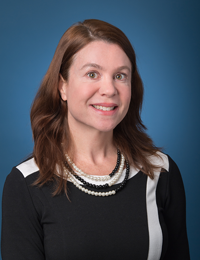 Prior to this position, Ms. Morowitz worked for Capital One as the Director of Consumer Bank Partnerships, where she was responsible for developing the strategy and offering around alternate acquisition channels via partners and affiliates. She also previously worked in the airline industry at US Airways, where she managed financial analysis projects to improve the company’s financial performance. She has 20+ years of consulting, finance, and payments experience and holds a degree in Mathematics from the University of Virginia, as well as an MBA from Duke University. Gary Zannotti joined UATP in 2000 and currently serves as Vice President, Operations and Services. In this position, Zannotti is responsible for UATP’s Issuer Service Center and managing the DataStream platform. He previously held the position of Vice President, Operations and Services for UATP. 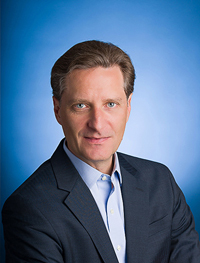 Zannotti began his career in the airline industry in 1997 as the Senior Financial Analyst for American Airlines (AA), and later was promoted to Marketing Development Manager. Zannotti obtained his MBA and undergraduate degree in Business Administration at Oklahoma State University. 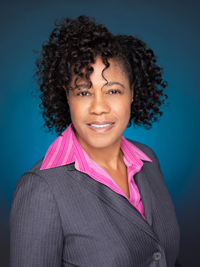 As Vice President, Business Development Charisse Chisolm, is responsible for identifying and evaluating new solutions and strategic partnerships that enhance UATP’s core business of processing payments for the travel sector and drive incremental growth for the UATP network. 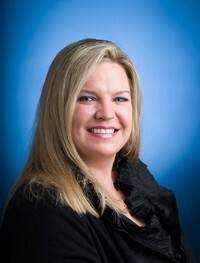 Prior to joining UATP, Charisse spent several years as Vice President, Partner Management at Elavon where she was responsible for vetting and executing mutually viable growth opportunities in collaboration with traditional and non-traditional payments industry partners such as Visa, MasterCard, American Express, Discover, China Union Pay, and PayPal. Charisse brings over twenty years of leadership expertise in strategic business development having worked in roles of increasing responsibility in the telecommunications, data services, wholesale automotive and financial services industries. Charisse earned her Bachelor of Science in Business Administration from the University of California at Berkeley and her Master of Science in Management from Georgia Institute of Technology. As Chief Financial Officer of UATP, Marrone is responsible for all accounting, finance and treasury functions of the organization. Before joining UATP, Marrone was a Treasury Manager for Discovery Communications where his responsibility was focused on financial risk management and global cash forecasting. Prior to Discovery, he spent several years at Fannie Mae where he led a team in the execution of cash movements in excess of $6 trillion annually in support of the United States housing market. Marrone started his career as an accountant at US Airways and then moved to the company’s Treasury Department where he helped guide the airline through two bankruptcies as the company’s Cash Manager. Marrone has an MBA from the George Washington University in Washington, DC and is a CPA. He earned his Bachelor of Business Administration with a concentration in Accounting from Loyola University in Maryland. 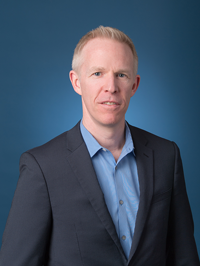 Dave Goldwin joined UATP in January 2019, and currently serves as Chief Legal Officer, representing the company on commercial and legal affairs, international issues, and corporate governance matters relating to the organization’s board and shareholders. Before joining UATP, Dave held several counsel positions at TSYS Acquiring Solutions, LLC, most recently serving as Vice President / Legal. Prior to that, he held both legal and operational positions with Global Collect, First Data, and MedE America. 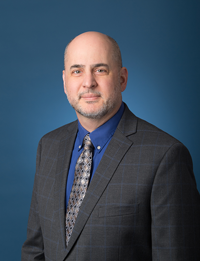 Dave earned his Bachelor of Science in Business Administration from Syracuse University, his Juris Doctor from IIT Chicago-Kent College of Law, and is licensed to practice law in Illinois and New York.